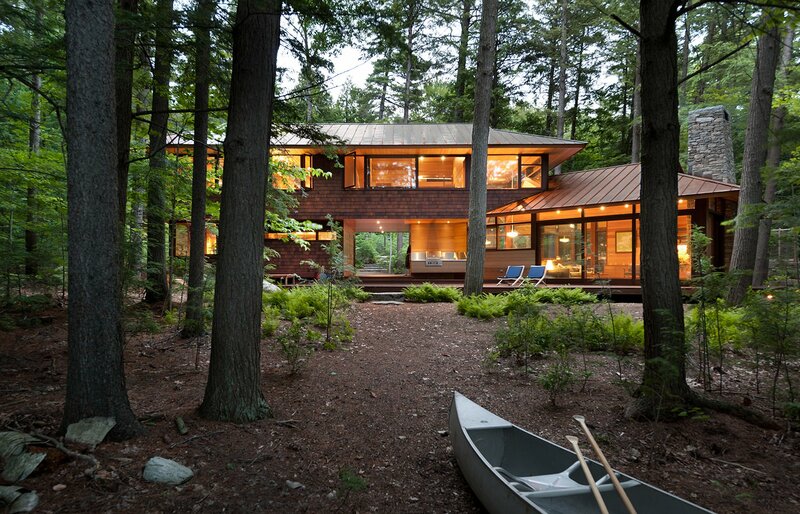 Jury comments: Nestled in a Hemlock-Beech forest adjacent to Squam Lake in New Hampshire, this new guest house transforms the site from a simple lakeside retreat into a three-generational family camp. The budget was extensive, and the architect used maturity and restraint to keep the results both elegant and simple. 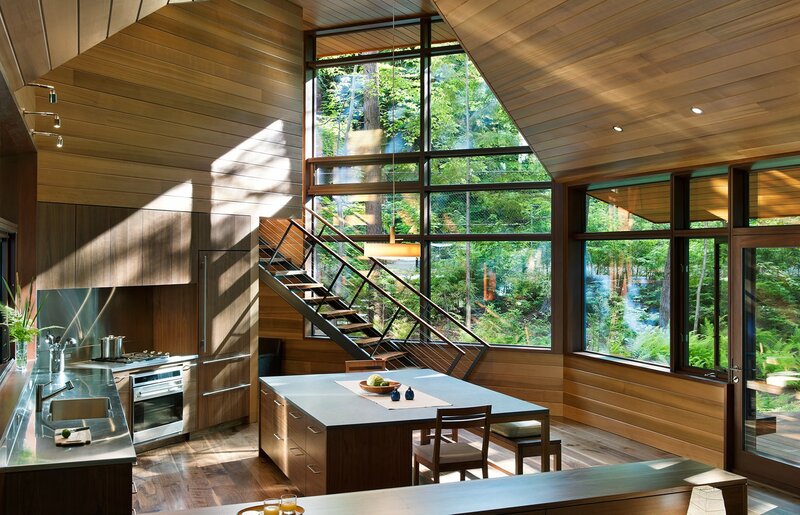 Materials are well handled, though the relentless use of wood borders on monotony. We appreciated the organizational element introduced by positioning the kitchen at the center of the house. 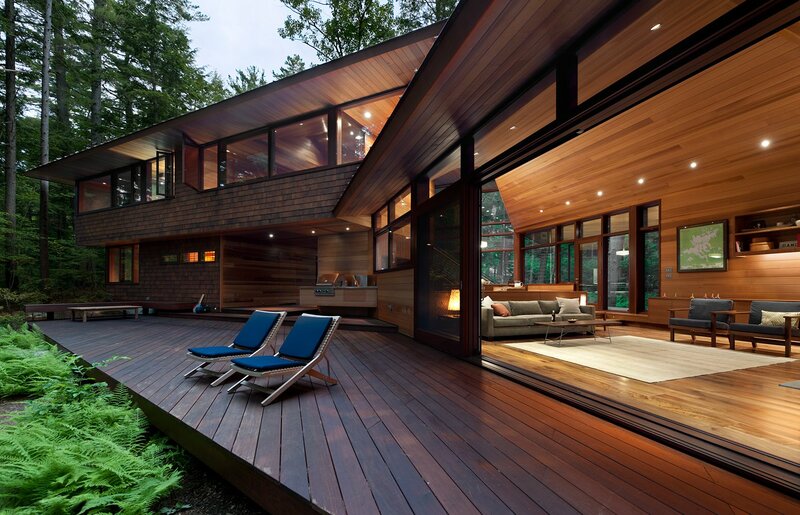 Transitions between inside and outside are very well done. Every view is considered. The gangway-like stair connecting the open common space to private sleeping areas is especially well placed. Although we do not believe that money buys beauty, we did agree that being beautiful is reason enough to award this project. We wanted to be in this place, even though we found the angular windows a little awkward.